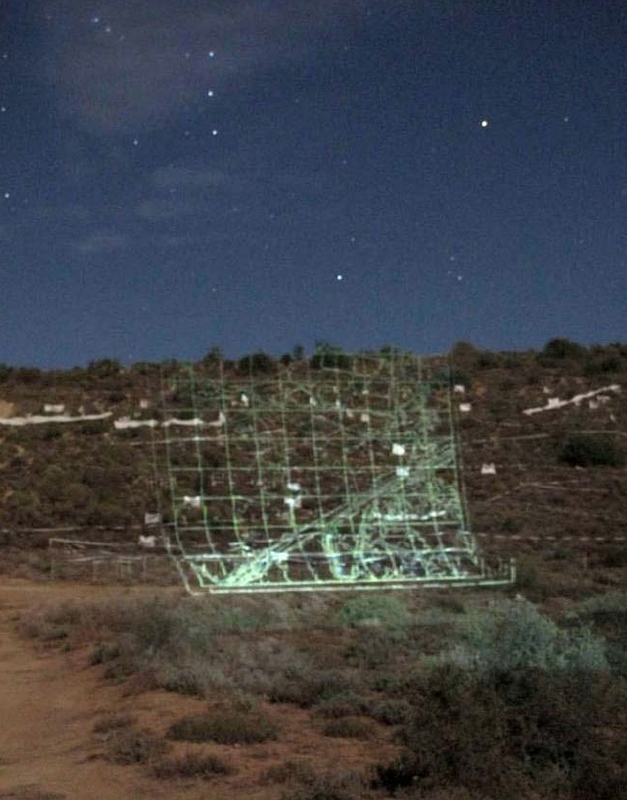 Oudtshoorn Trace is a collaborative land art and performance project by Marcus Neustetter and Bronwyn Lace. It was commissioned by ABSA KKNK in April 2009 as part of the larger KKNK festival. In their collaboration, Neustetter and Lace combined their interests in projects that address exploring space, public interaction, performance, installation and land art as well as experimentation with materials.